Today, Norwegian invites guests to enjoy a relaxed, resort-style, cruise holiday on some of the newest and most contemporary ships at sea with a wide variety of accommodation options, including The Haven by Norwegian®, a luxury enclave with suites, private pool, and dining, concierge service, and personal butlers. Norwegian Cruise Line sails around the globe, offering guests the freedom and flexibility to explore the world on their own time and experience up to 27 dining options, award-winning entertainment, superior guest service, and more across all of the brand's 16 ships. Norwegian offers several accommodations to suit every guest's need. Hidden away at the top of the ship is The Haven by Norwegian®, an exclusive enclave with the most luxurious, well-appointed, and spacious accommodations. With ever-changing views from a private balcony, mini-suites and balcony staterooms offer guests a new perspective almost every day, and feature comfy seating areas, convertible and/or drop-down beds, and plenty of storage space. Ocean views, insides, and studios let guests relax, embrace their personal space, and get back to the action. For guests travelling solo, Norwegian's studio staterooms are an industry first, providing solo cruisers the most affordable, stylish, way to cruise. Freestyle cruising means a huge range of exciting events and activities. Regardless of guests' ages or preferences, all Norwegian ships have something to keep guests entertained, with award-winning entertainment every day and every night. 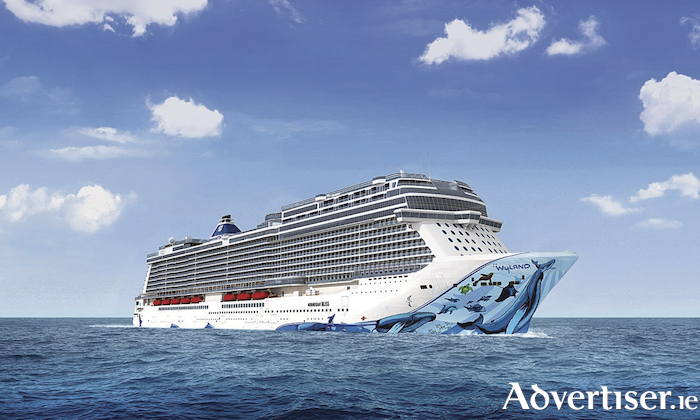 Fahy Travel is now an agent for Norwegian Cruise Lines. Norwegian Bliss launched last month and Caroline, manager of Fahy Travel, was on the ship for two days where she had the chance to experience all this wonderful ship has to offer.